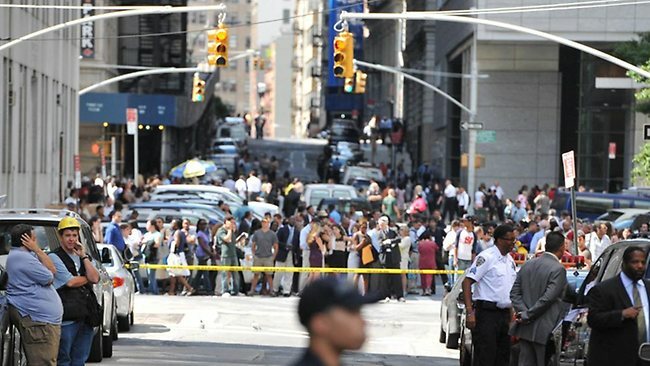 ONE of the strongest earthquakes to strike the US east coast in decades has rattled offices in downtown Washington and caused panicked evacuations from skyscrapers as far away as New York. A 5.8 magnitude on the US east coast has prompted the evacuation of the Pentagon in Washington, DC. The Pentagon, the US Capitol and Union Station in the nation’s capital were all evacuated on Tuesday after the 5.9-magnitude quake, which was shallow with its epicentre only one kilometre underground. The disruption to mobile phone services in the hour after the quake added to the sense of panic in a country preparing to mark the 10th anniversary of the September 11, 2001 terror attacks. Seismologists from the US Geological Survey said the epicentre was 47 kilometres from Charlottesville, Virginia, and 139 kilometres from Washington, where Reagan National Airport was also evacuated. The quake was felt as far away as Martha’s Vineyard, around 800 kilometres away, off the coast of Massachusetts, where President Barack Obama was playing golf during his vacation.